March 2012: GLA start the procurement of a new RE:FIT framework, their programme working to support energy efficiency retrofits in public sector buildings. Full details here. Further information on RE:FIT is also available on the GLA’s website. March 2012: The UK-GBC Green Building Guidance Task Group has created a number of documents to help Local Planning Authorities (LPAs) and the new neighbourhood forums to “understand sustainability issues, to ensure they achieve a balance between requiring robust sustainability standards but also ensuring development remains viable.” Notes produced cover issues on climate change adaptation, climate change mitigation and energy. Download notes from UKGBC website here. CLG PPS 1 supplement on climate change draft – this was never finalised and has been superseded by the new National Planning Policy Framework (NFFP) – released yesterday – however, it still provides some useful guidance that local authorities may wish to consider when drawing up their own policies. 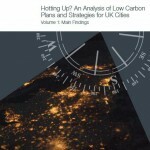 March 2012: The Government has released its final version of its National Policy Planning Framework (NPPF) which has gone someway from the initial draft in addressing concerns over the absence of guidance to planning authorities on supporting the development of low carbon and renewable initiatives (as highlighted in an earlier article). The new requirements as set out in the NPPF are welcome – and copied below for information – but are far and away from the detailed guidance that was proposed to be introduced prior to the 2010 election on climate mitigation issues. 93. Planning plays a key role in helping shape places to secure radical reductions in greenhouse gas emissions, minimising vulnerability and providing resilience to the impacts of climate change, and supporting the delivery of renewable and low carbon energy and associated infrastructure. This is central to the economic, social and environmental dimensions of sustainable development. when setting any local requirement for a building’s sustainability, do so in a way consistent with the Government’s zero carbon buildings policy and adopt nationally described standards. take account of landform, layout, building orientation, massing and landscaping to minimise energy consumption. identify opportunities where development can draw its energy supply from decentralised, renewable or low carbon energy supply systems and for co-locating potential heat customers and suppliers. approve the application if its impacts are (or can be made) acceptable. Once suitable areas for renewable and low carbon energy have been identified in plans, local planning authorities should also expect subsequent applications for commercial scale projects outside these areas to demonstrate that the proposed location meets the criteria used in identifying suitable areas. Develop a new policy framework which recognises the role of cities in the climate change and low carbon agendas. The majority of the UK’s population lives in cities, and they are vital in providing a focus for tackling climate change and responding to the low carbon agenda through technology deployment and access to finance. A new ‘low carbon city’ framework,which builds on the existing DECC pilots, should be developed and the concepts of ‘low carbon city’ and‘low carbon society’ should be clearly defined within this framework. 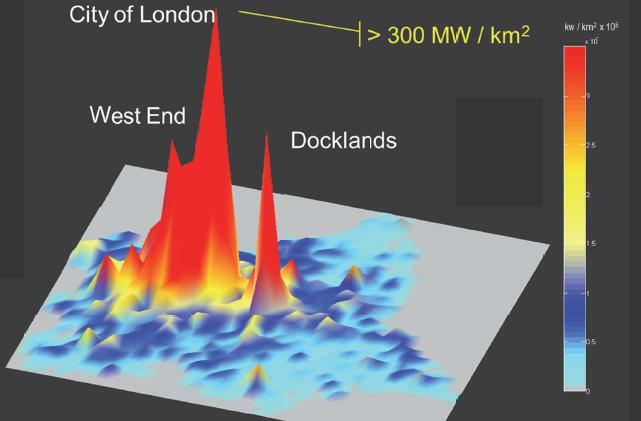 The report and accompanying appendix contains significant amounts of analysis regarding London metrics on energy and carbon in relation to other cities. Download Hotting Up? 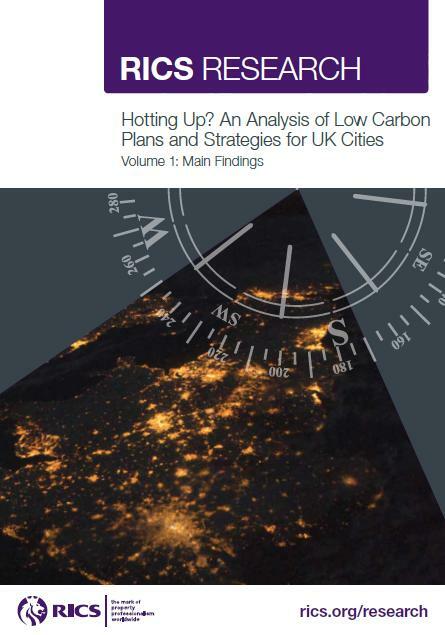 An Analysis of Low Carbon Plans and Strategies for UK Cities here. March 2012: Slides from a recent UK Green Building Council (UKGBC) Masterclass which focused on detailed technical lessons learned from the London 2012 Olympic Park strategy on energy and carbon can now be downloaded from the following weblink (see bottom right-hand corner of linked page for slides). 20 March 2012: ICLEI – Local Governments for Sustainability and C40 Cities Climate Leadership Group released today a draft edition of the Global Protocol for Community-scale Greenhouse Gas Emissions(community protocol) to help cities around the world measure and report GHG emissions using a more consistent protocol. ICLEI and C40 will be hosting two public webinars, with dedicated outreach to ICLEI and C40 member cities, onTuesday 3 April 2012 from 7:00am – 8:00am UTC (GMT) and Wednesday 4 April 2012 from 3:00pm – 4:00pm UTC (GMT). Full details on the following news release. 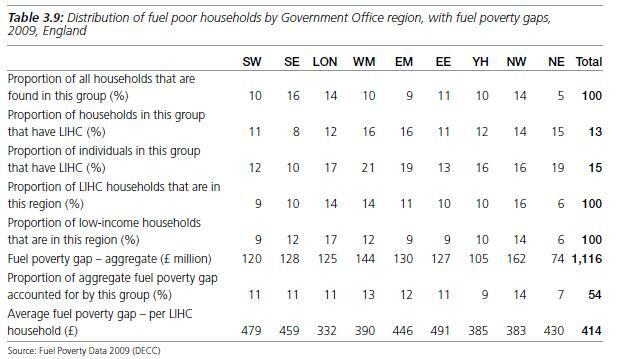 March 2012: Islington Council news release issued which sets out how the cuoncil has announced how “it will take another 1,000 households out of fuel poverty before 2014 while stimulating the economy creating local jobs and apprenticeships for plumbers, electricians and roofers. A report to the Council’s executive on 27 March will seek to approve £3m for a universal boiler scheme and insulation works that will reduce bills and put money back in residents’ pockets. Islington Council will use the investment to attract the maximum benefit from the government’s Green Deal programme towards helping fuel poor households. The good news comes on the back of a successful year for the council’s energy efficiency action in which over 300 council homes have received ‘A rated’ boilers, 2,300 residents have been helped with energy advice, and the energy doctor has visited over 700 households. In addition, 1,600 households have received help through the award-winning SHINE service (Seasonal Health Interventions Network) – Islington Council and NHS Islington’s one-stop referral service including benefits checks, Telecare applications and befriending services for the elderly. Signing off the report Kevin O’Leary, Corporate Director of Islington Council’s Environment Department said: “Taking thousands of poorer households out of fuel poverty is the key to making Islington a fairer place. A report of the seminar is available on the Low Carbon Communities Network here. Climate change data for the Mayor’s energy strategy; London & Quadrant homes RE:NEW delivery; air quality around new energy from waste schemes in London (1, 2 and 3); borough roll out of RE:NEW; an update on RE:NEW; asking the Mayor whether he would support the Energy Revolution Campaign; the use of heat pumps on Crossrail actions the Mayor will take to achieve the targetst in his Climate change strategy; progress of the Mayor’s Low Carbon Employment and Skills Programme; the amount of funding levered in by RE:NEW from the CERT programme; Mayoral action on the Green Deal; an update on London’s Environment Strategy; LWaRB work on waste infrastructure; Waste infrastructure investment; London Waste & Recycling Board; RE:NEW and Fuel Poverty; RE:NEW funding from Decent Homes (1); and RE:NEW funding from Decent Homes (2). Previous questions to the Mayor can be found here. Further details on the report with links provided on an earlier post.